U.S. 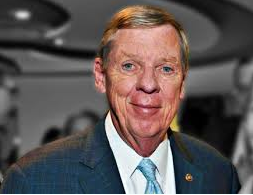 Senator Johnny Isakson, R-Ga., this week applauded the Senate passage of legislation to reform music licensing law for the 21st century and create a fairer marketplace for songwriters and other content creators. The package, which is called the Music Modernization Act, combines three previously introduced pieces of legislation—the Music Modernization Act, the Compensating Legacy Artists for their Songs, Service, & Important Contributions to Society (CLASSICS) Act, and the Allocation for Music Producers (AMP) Act, along with several amendments. It was passed by the Senate this week as H.R.1551. A similar package recently passed the U.S. House of Representatives by an overwhelming vote of 415-0 earlier this year. The legislation has strong support across the music industry and will make a real difference for songwriters, recording artists, producers, sound engineers, digital music companies, and other music stakeholders. The original legislation introduced in the Senate was led by U.S. Sens. Orrin Hatch, R-Utah, Lamar Alexander, R-Tenn., and a large bipartisan group of senators including Isakson. The bill was reported favorably out of committee by voice vote.